LABOR DAY WAREHOUSE SALE!! 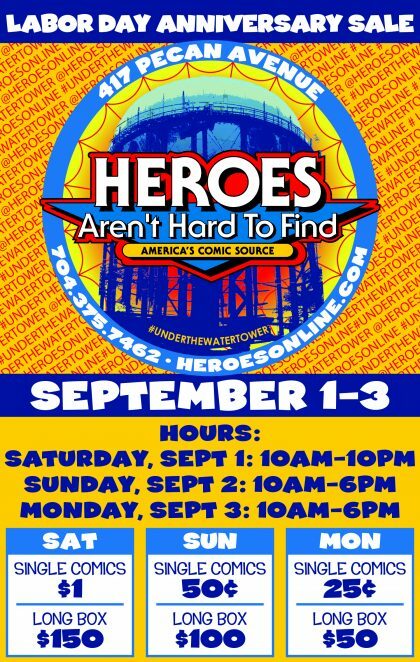 HEROES CELEBRATES ONE YEAR #UNDERtheWATERTOWER! 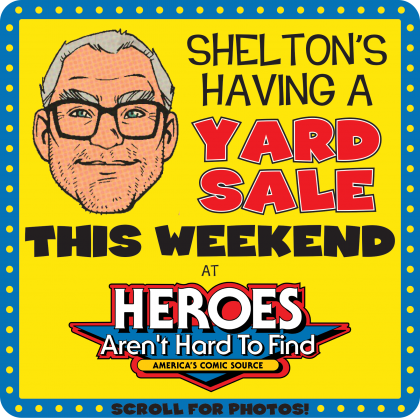 This Labor Day weekend will mark the ONE YEAR ANNIVERSARY of Heroes opening in our new location at 417 Pecan Avenue! 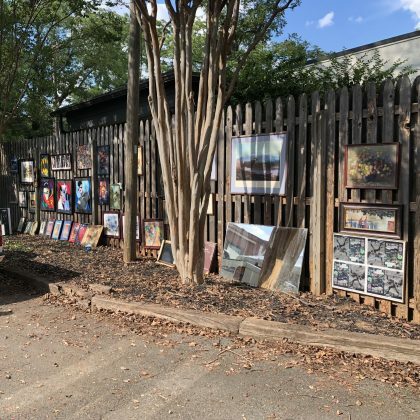 It’s hard to believe that what is now our new store was once our WAREHOUSE, and what better way to celebrate our anniversary than by throwing a THREE-DAY WAREHOUSE SALE! Back in 2013 we sold a staggering 300 long boxes, and over 100,000 comics, in just FOUR DAYS at our first official Warehouse Sale! To celebrate our first year in our new home #UnderTheWaterTower, we are once again purging our overstock of nearly 100 long boxes and selling them at CAN’T-MISS PRICES!! We will offer extended hours on Saturday, September 1st from 10am-10pm and Sunday, September 2nd from 10am-6pm. Be sure to join us on LABOR DAY Monday from 10am-6pm when all sale books will be reduced to just 25¢!! Prices will start at $1 on Saturday and drop each day but, for the best selection, we hope to see you on Saturday! Speaking of “Blasts from the Past”, Saturday, September 1st at 2pm will mark the return of the HEROES DISCUSSION GROUP! 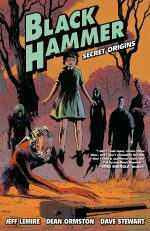 Our first discussion group since 2012 will find Heroes’ own Andrew Mansell and Samuel Reynolds-Oosting leading the talk as we probe the depths of the Dark Horse hit BLACK HAMMER VOL. 1 from writer Jeff Lemire, artist Dean Ormston and colorist Dave Stewart! We welcome any and all to join the discussion group, so if you are a fan of BLACK HAMMER like we are, please feel free to join us on Saturday, September 1st during the sale! HUGE LABOR DAY WAREHOUSE SALE! “Why don’t you guys ever have a warehouse sale?” It’s something we’ve heard from countless customers over the years, and it’s finally happening over Labor Day weekend! The sale will take place over four days from Friday, August 30 – Monday, September 2. 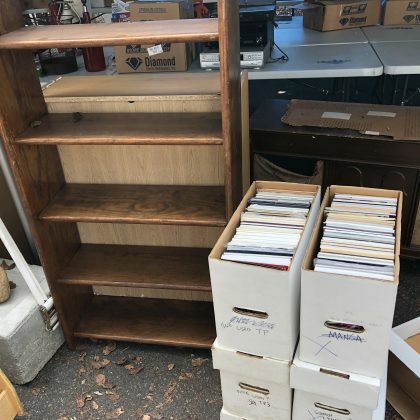 “What exactly makes this a warehouse sale?” As you know, we buy comic collections all the time, and we’ve bought so many in recent years that we just don’t have the space to keep them anymore. With multiple warehouses overflowing, it’s time to let our customers pick through what we’ve accumulated. 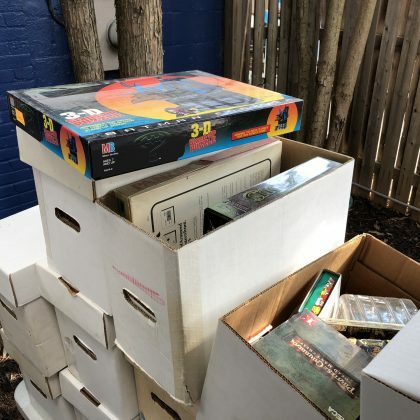 “What can I expect to find at the sale?” For starters, we’ll have nearly 100,000 comics under tents in front of the store ready for you to dig through. Do the math – that’s nearly 300 long boxes of comics! As the sale goes on prices will get lower, but the selection will be smaller. We’ll have big deals right from the start, but as usual, the more you buy, the cheaper the cost. We’ll also have a plethora of trade paperbacks on sale, reduced prices on HeroesCon prints through the years, and more! “What are the hours for the sale?” It will officially kick off Friday evening around 6 p.m. and go until MIDNIGHT! Saturday it will begin at our normal opening hour of 10 a.m. and go until MIDNIGHT! Sunday we’ll open three hours early at 10 a.m. and go until MIDNIGHT! And Monday, we’ll open at 10 a.m. and go until dark, or until everything’s gone, whichever comes first. We’ve had lots of sales over the years, but trust me – you’ve never seen one this big. Start getting your back issue list together and get ready for this gargantuan event! Come celebrate the holiday with us, and pick up some great deals in the process! See you Labor Day weekend!